Although our name may be new to you, we’ve been mowing lawns for businesses for many years. Formed in 1981 as Alfresco Property Services, in early 2007 we chose to re-brand to Corporate Lawns as this name reflects more accurately the nature of our work. Our Guarantee to you: Quote within 24 hours, job done within 48 hours. When you contact us, we’ll discuss your requirements and give you a written quote – within 24 hours, guaranteed. We’ll visit your site and then, provided we receive written acceptance of our quote and terms of trade, we can mow your lawns within 48 hours, guaranteed. Whilst lawn care and lawn mowing are looked upon as one of the simpler elements to good property maintenance – at Corporate Lawns we know that with lawns, it’s the small details that count. Garden development and maintenance is speciality. At Corporate Lawns, we provide a complete garden care. Our services include trimming and garden maintenance of common areas, including car parks. At Corporate Lawns we can provide for all gardening and tree work. From Hedge trimming to pruning and clipping of shrubs to large tree work including difficult and dangerous trees are our speciality. 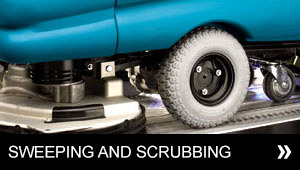 Corporate Sweeping & Scrubbing provides indoor and outdoor environmental cleaning solutions for your properties. We offer Carpark Sweeping, Community Sweeping, Retail Centre, Warehouse Sweeping and Scrubbing and Commercial Seeping and Scrubbing. Over the past 17 years, we’ve worked for more than 160 body corporates. We’ve built up a reputation for absolute reliability, excellent work and the ability to perform complete transformations.